Hi, everyone! Double crochet, in UK crochet terminology also called treble crochet, produces softer crochet fabric than the single and half double crochet stitches. Double crochet is a very tall stitch, so the fabric grows quickly which makes it very popular. I use it in my patterns all the time, especially when I am making romper, cardigans or baby sweaters. The rows of double crochet fabric look super similar from the back and front, which can be very useful. If you are familiar with how to make a half double crochet, double crochet will be very easy for you to learn. 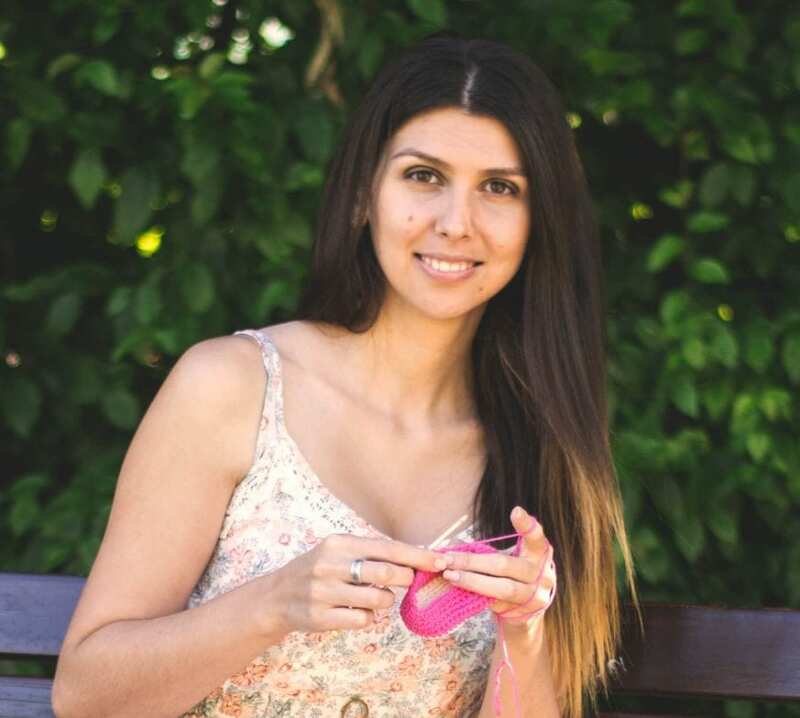 Follow the video below and learn how to make a double crochet (DC) and how to join two stitches together with a double crochet two stitches together (DC2TOG). Did you know that there are two ways of how to start a row of double crochet stitches? Yes, you can count your turning chain as your first stitch of the row or not. If you would like to learn how to, click on the video below.